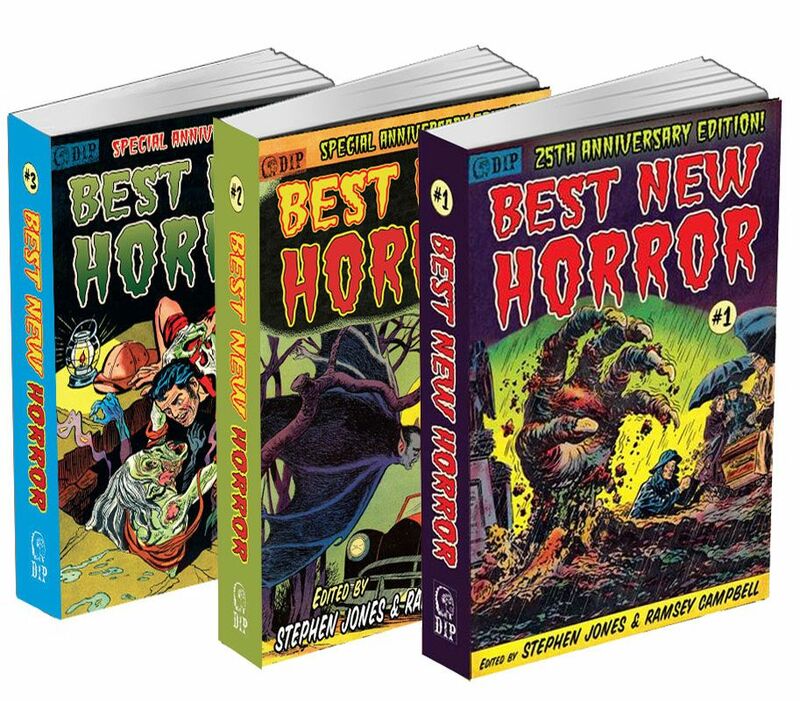 A chance to get the first three in our series of 25th Anniversary editions of BEST NEW HORROR. for just £19.99 plus P&P. Edited by Stephen Jones & Ramsey Campbell, these anthologies have been revised and updated, showcasing some of the very best short stories and novellas published in 1989, '90 & '91. In these vilifying volumes you will rediscover terrifying tales by, amongst many others; Poppy Z. Brite, Jonathan Carroll, Harlan Ellison, Elizabeth Hand, Michael Marshall Smith, Peter Straub, F. Paul Wilson, Gahan Wilson, Ramsey Campbell, Robert McCammon, Dennis Etchison, Elizabeth Hand, Charles L. Grant, Joel Lane, Thomas Tessier, and Gene Wolfe, along with an overview of the year in horror by the editors and a nightmare necrology of those who kicked off this mortal coil during that period.